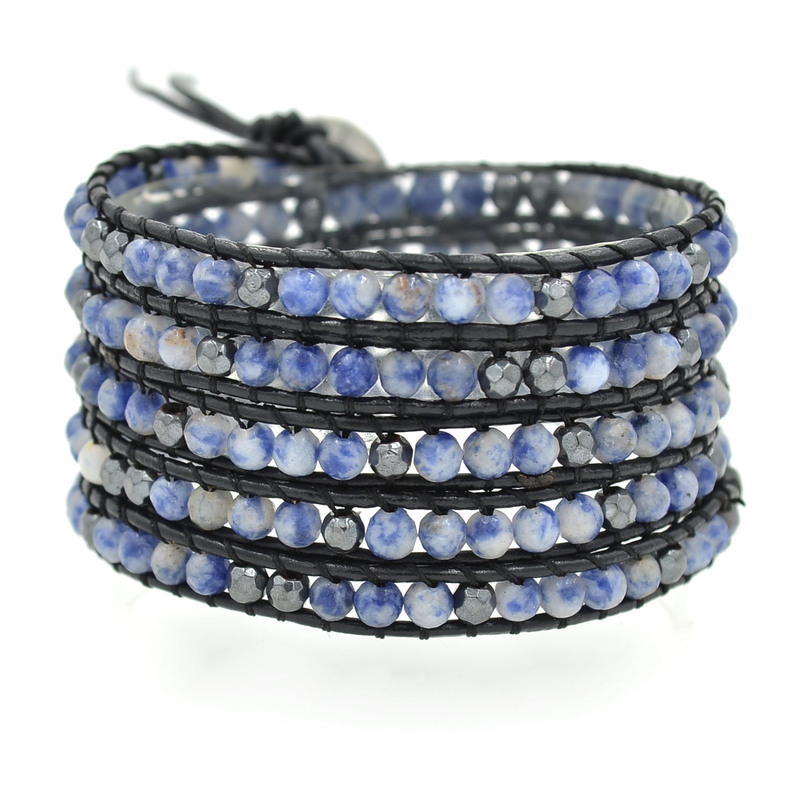 Lin Suu Jewelry Black Leather Wrap Bracelet Blue and Multicolor Beads, super fun, 5 Wraps 34 inches. Leather wrap bracelet. 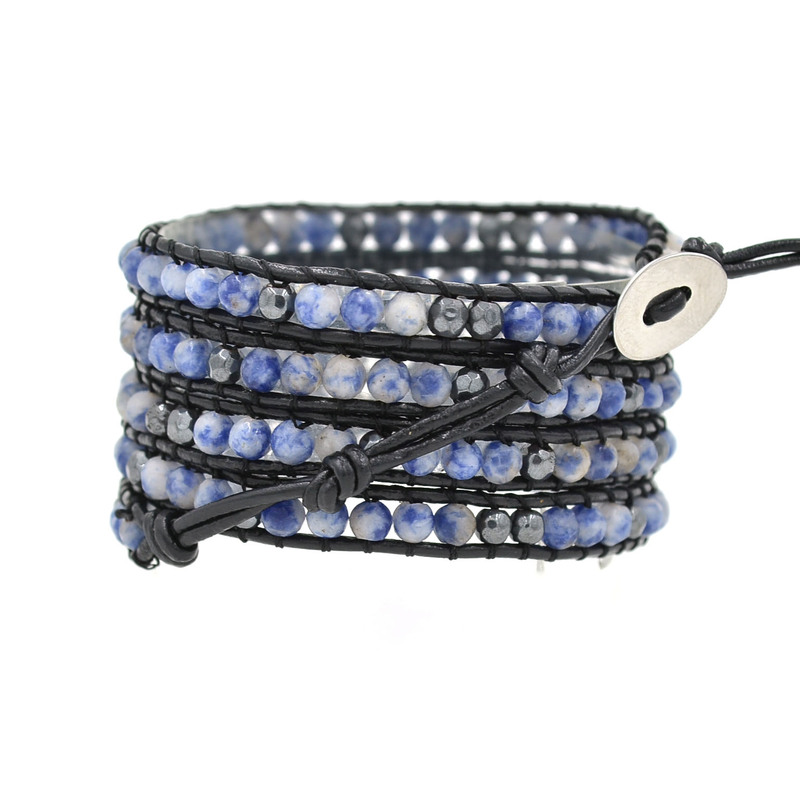 Designed by Lin Suu, soft black leather matched up perfectly with blue and multicolor beads.